Tableau is another powerful business intelligence application or tool which is used by many business users to represent the date virtually to get more inside on it. This tool can be connected to any type of data source, it can be live or an extract like CSV, Excel, text files etc… There are other tools which used to view the reports developed using Tableau or it can be just deployed on any server so that the required end user can access the reports to view online as per the business need. 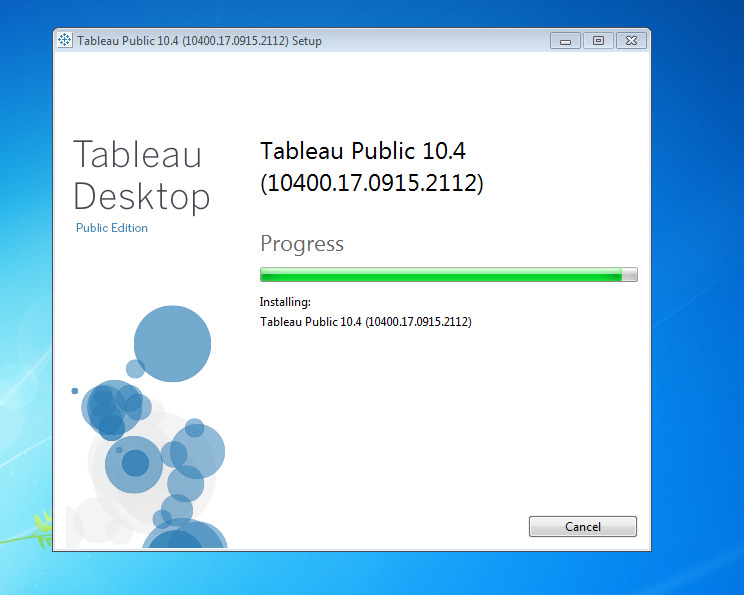 This article will show the step by step guide to install Tableau Desktop public edition Business intelligence tool on Windows operating system. 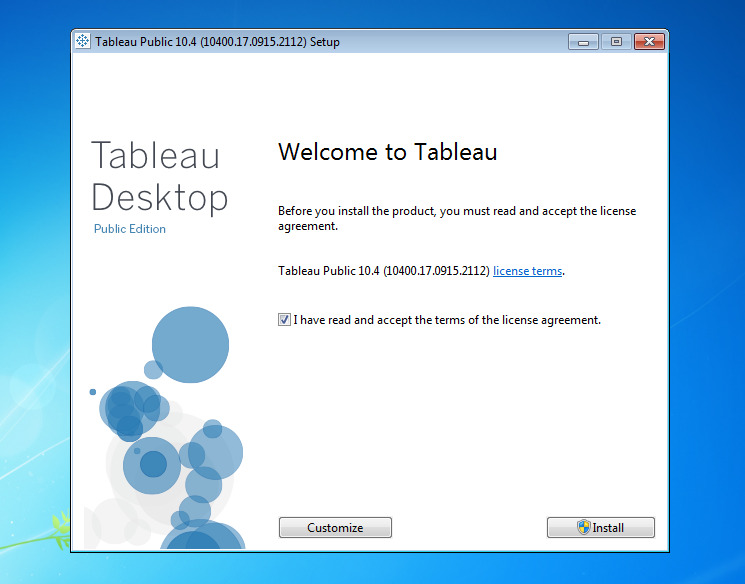 To start the installation we have to get the setup from Tableau website. I have downloaded the software and kept it on my desktop as shown below. Now double click on the setup to start the installation. 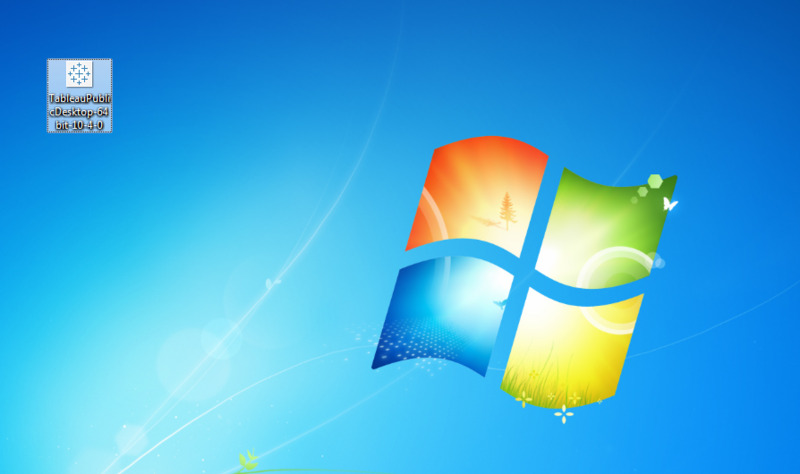 Once you start the installation you will be prompt to accept the license agreement to show the install button, i am going to use the simple basic setup to move further. You can see the left side of the panel shows the option to connect to any data source if we want to use or we can also use the Tableau Public to get the source if we have any. One of the good things about this tool is it has a lot of online videos in free to explain and shows the steps on how to use this tool for reporting purpose. But yes if we want to use within an organization then we have to get them the professional editions. But to learn on how to develop the reports we can still use the public edition. Thank you for reading my article. Please feel free to leave me some feedback or to suggest any future topics. Please give my article a thumbs up if you liked it. This entry was posted in Business Intelligence, Data Analysis. Bookmark the permalink.